Back in 2007 I stumbled across a house decoration that had fading RGB lanterns high lighting a path to the front porch. 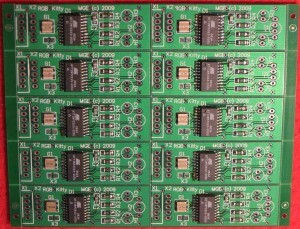 John Chapman of Engineering Solutions Inc Developed a suite id LED Based RGB Pixel projects/products. the one that particularly inspired me was Point Sources. Not knowing anything at all about PIC, it was then I decided to make an AVR equivalent unit wit ha couple of variations. These shots are the finished products. There are a couple of options for the LEDs, a single 4 pin Common Anode RGB LED or 3 separate LEDs. the whole unit runs of 5Volts. the LED current are limited to about 20mA each, as per the AVR AtTiny2313 specification. The RGB Kitty Schematic is available for reuse. 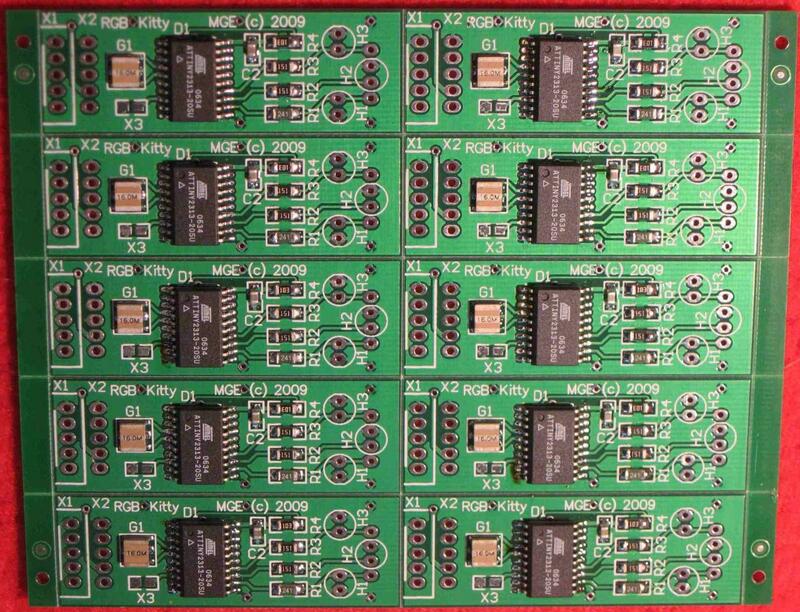 By shorting X3, the controller goes into Address mode and sets the DMX Start Address to the DMX Values of (Ch1 + Ch2). 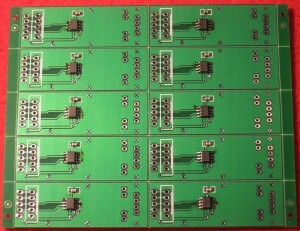 I have about 100 (10x panels) Version 1 boards left from the first run. These are available for sale. Version 2 in planning phase. Replace X3 wit ha SMD switch, AND add a track to pin5 of X1 &X2. 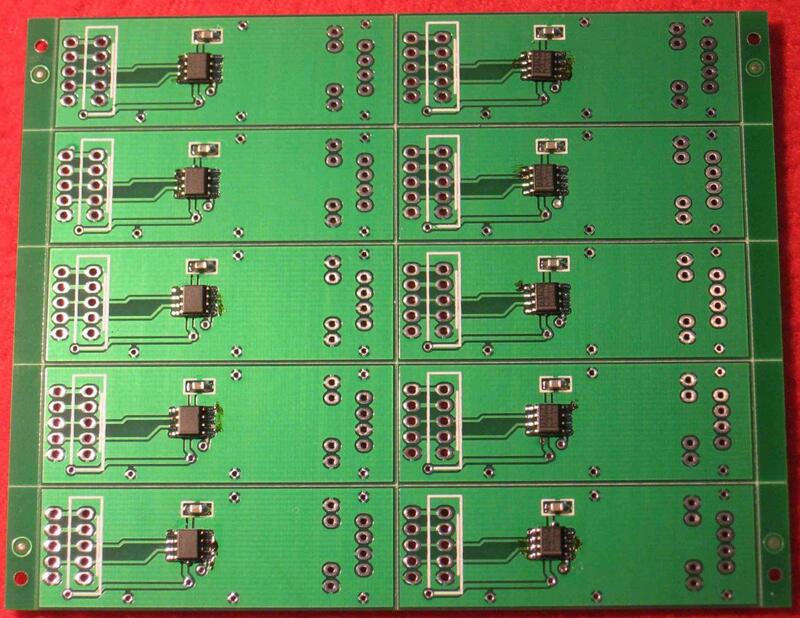 This entry was posted in AVRs, DMX, Light Controllers. Bookmark the permalink.